Georgian opposition parties will form unarmed people’s militia units to provide security for those who participate in civil protests. 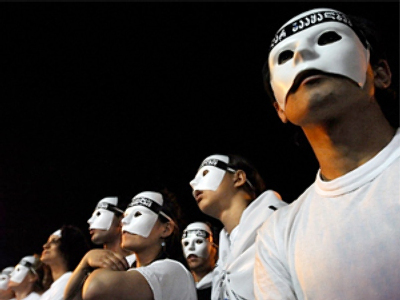 Some 20 opposition members have been attacked since the beginning of protests. This is according to Conservative Party spokesman Bidzina Gujabidze, who voiced the opposition’s concern over the attacks that have mostly happened at nighttime. Many opposition members say the Georgian Interior Ministry is behind the attacks. The Ministry in turn claims some of the scuffles were initiated by protesters themselves. Georgian human rights commissioner Sozar Subari has listed numerous attacks on opposition activists by unidentified individuals over the past few days. Among these are the crackdown of the opposition press-center in front of the parliament building on April 12 and the beating of Coca-Cola Georgia CEO Vakhtang Lagidze with singer Zurab Mandzhavidze on their way back from the rally on the eve of April 14. Another two opposition members were beaten in the early hours of April 16. Subari also called for the Interior Ministry to submit CCTV footage they possess, that may help in identifying some of the attackers. 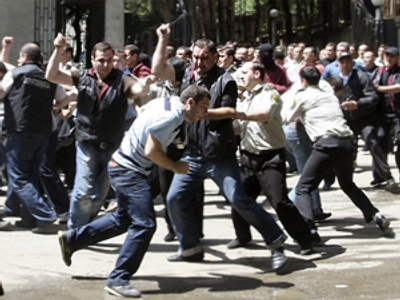 “The attacks on opposition activists that continue in Tbilisi greatly resemble the situation in November 2007, when opposition activists were subject to similar assaults before a peaceful rally was dispersed by force,” the ombudsman said. 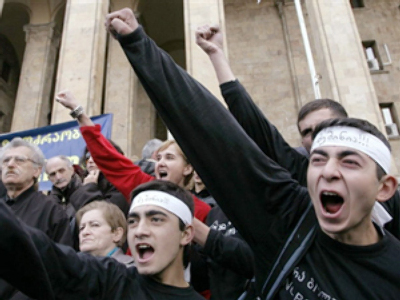 Rallies in front of the Parliament building in Tbilisi have been ongoing for a week. Their main demand is for the president to leave office. 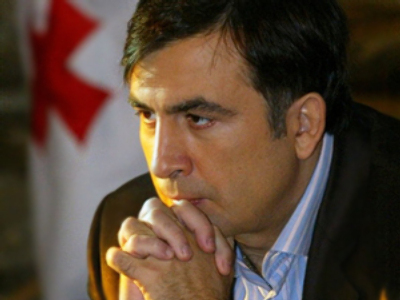 It has not yet been met and Saakashvili has stated his intention to keep his post several times. There will be a short break in the protest action for Easter but the opposition leaders promise even bigger rallies after the weekend. Meanwhile Georgia’s Parliament Speaker David Bakradze has announced that Mikhail Saakashvili will be visiting the US in the near future. The particular date of the visit is not yet disclosed. Poet and opposition member Lia Naroushvili sits in a cage every day as a way of symbolizing that her own country has become a prison under Saakashvili. At home she has her belongings packed and ready to leave Georgia if Saakashvili doesn't resign. As an active member of the opposition, she is holding onto the hope that one day he will step down and she will be able to return to her native land headed by a new leader. “The whole city is against Saakashvili. If he has at least a little bit of brain he will go. There's no place for him in Georgia. But if he stays against everyone's will I'm not going to live in this country. I don't care where, just out of here,” Naroushvili says. For many the turning point in his presidency was last year’s August conflict between Georgia and South Ossetia. The opposition says it can't forgive what they say was the president's action in South Ossetia. “The totalitarian regime, violations of freedom of speech, political assassinations, terrorist attacks, political prisoners flock the jails. And, above all, it is due to Saakashvili’s rash actions that Georgia has lost territory,” Davitashvili said.